Plot:Tom Hanks, Jackie Gleason and Eva Marie Saint are unforgettable in the story of a young, ambitious executive whose life is surprisingly affected by the break-up of his parents' marriage. Co-starring Sela Ward, Bess Armstrong and Hector Elizondo. Because of his talent, charm and wisecracking sense of humor, David Basner (Hanks) is a self-made man on the fast track. He loves his job, his bank account is healthy, and women find him irresistible. Then his father Max (Gleason, in his final film performance) calls to give David the news that he and David's mother Lorraine (Saint) are calling it quits after 35 years. Now, besides the pressures of his own busy life, David has the new responsibilities of taking care of his crotchety dad and emotionally supporting his mother. Through these experiences, David gains a new understanding and appreciation of his parents, with whom he thought he had nothing in common. NOTHING IN COMMON is a funny, heart-warming film that struck a chord with audiences (who made it a hit) and showcases the charismatic performance of a young Tom Hanks on his way to Oscar®-winning superstardom. Below average comedy that feels like a cheaply made tv sitcom despite the big name stars. Hanks is below par, but it is an over indulgent self-apprecaiting performance by Gleason that really turned me off to the movie. The plot is undercooked, the scenes disjointed, and the film feels incredibly dated from its mid-eighties debut. Eva Marie Saint does her best with a weak script, but overall I felt director Garry Marshall missed the mark on this, but I did like his following huge hits like Pretty Women, Beaches and Overboard. Plot:"Watch out for the tree-slammin', elephant-callin' action -- all the fun of the original and more!" (Mark S. Allen, UPN-TV). The wild adventure and comedy that families and critics went bananas for continue with everyone's favorite characters in GEORGE OF THE JUNGLE 2. When we last saw George, he and his bride Ursula were living in wedded bliss in the peaceful jungle. Unfortunately, all this is about to change. Scheming mother-in-law Beatrice Stanhope is not about to let her daughter and grandson hang around with the klutzy King of the Jungle forever. In an elaborate plot, she teams with Ursula's obsessive ex-fiance Lyle to hypnotize Ursula into leaving George and turn his jungle to mulch! That's when all vines lead to Las Vegas. There, George, Ape, Shep, and Tookie-Tookie must rescue Ursula, and then swing back to save the jungle from Lyle's bulldozing bullies. You'll go ape when these jungle jesters come together for irresistible all-new family entertainment. Some sequels should never be made, this is one of them. I didn't even like the first film very much, but it was twice as good as this blatant commercial attempt to cash-in. Without Brendan Frazer in the lead role, there is little of merit to establish a positive from this attempted comedy. The script is funny, but only because there isn't one, as the 'story' wavers all over the place in a dumb plotline that is stupid. I actually felt myself getting irritated by its desperate attempts to mimic the first movie, and its cringeworthy amatuerism. Hollywood owes me another 80 minutes which I would have preferred spent watching paint dry. The outtakes in the credits were funny, thats the only plus in a rubbish movie to avoid. Plot:Bloodsport takes you where few have ever gone – inside the hidden Hong Kong arena where elite combatants clash in the Kumite, the little-known but hotly contested world championship of full-contact fighting. No Westerner had ever won this titanic tournament until iron-willed American Frank Dux. 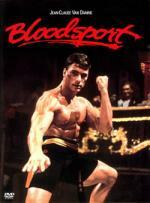 Bloodsport is his story, a true-life triumph of bedrock courage, uncanny skill and steadfast loyalty. As Dux, Jean-Claude Van Damme also enjoyed a true-life triumph. This role kickboxed his career as a box-office favorite into overdrive. Van Damme has dazzled audiences ever since, playing heroes who simply refused to lose. And when Van Damme steps onto the mat, Bloodsport isn't just a sport. It's a war! Loosely based on a true story, i must admit to enjoying watching this early van damme martial arts film that I watched years ago on video. He was an even worse actor then than he is now (and thats saying something) but he sure could fight, and his trademark splits were portrayed several times. Definately a lads film with more and more violent bouts, a baddie in the guise of Bolo Yeung, a multitude of different fighting styles on show, and an early Forest Whittaker performance. The loose sub plots do not detract from the main aim of the film, namely a high kicking ball busting scrapfest, which was delivered with aplomb. One to watch with a few mates and a crate of beer. Plot:Set in a future-world where humans can control other humans in mass-scale, multi-player online gaming environments, a star player (Butler) from a game called "Slayers" looks to regain his independence while taking down the game's mastermind (Hall). 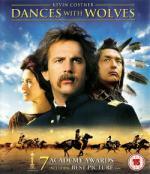 We're doing a movie night at our place tomorrow with some friends and we've chosen this movie. Hopefully it won't be a letdown.